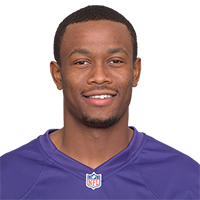 Scott should have another chance to prove himself with the Ravens in 2019, Clifton Brown of the team's official website reports. Analysis: The 2018 fourth-round pick didn't make much noise throughout training camp and the preseason, eventually getting stashed on injured reserve after he suffered a hamstring injury in late August. Scott should be healthy for the start of the offseason program if he isn't already, but he won't have a guaranteed stash spot this time around. His 6-foot-5 frame is unique among Baltimore wideouts, though the team could look to add more size during the offseason. There are no videos available for Jaleel Scott. Click here to view all videos.